You are browsing the archive for music round. Right, I’ll stop going on about my holiday in Germany now. After the jump you’ll find the answers to the music round I posted at the weekend. Speaking of tasty, I hosted the second-ever Galway Food Festival table quiz in The King’s Head last night and a tremendous night it was. I’ll post a report on how it went, along with some questions for you to try, tomorrow. In the meantime, click the ‘Read the rest…’ link to see those musical answers. It’s time for part 2 of my report on the quiz we took part in while on holiday in Berlin earlier this week. Just to reiterate a point I made in yesterday’s post, I was absolutely appalled by the smokey atmosphere in the pub. It was rotten. On the night it was horrible and, for the rest of out holiday, myself and Mrs TQ quarantined the clothes we were wearing that night. Honestly, it’s one law I’m delighted we have here in Ireland and, I think, once one gets used to smoke-free pubs (and, more appropriately for this blog, smoke-free quizzes) one can never go back. Ok, that rant over! 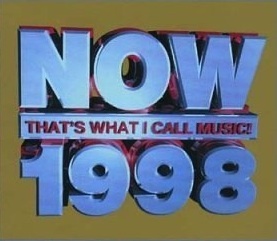 Please click on the ‘Read the rest…’ link to see the answers to the questions posed yesterday and to hear the music round: The hits of 1998.